A simple lodge in a pristine rainforest reserve offering rafting, hiking, ziplining and community visits, plus the chance to relax in a hammock, savour tasty food and enjoy living in the midst of the jungle. 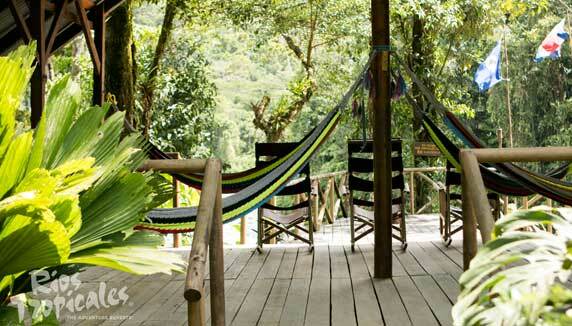 Rios Tropicales is all about nature, with over 800 hectares of private reserve to explore. There’s a network of trails of varying durations and a guided hike introduces you to the varied plants and trees, birds, butterflies and reptiles and natural features such as waterfalls and pools. 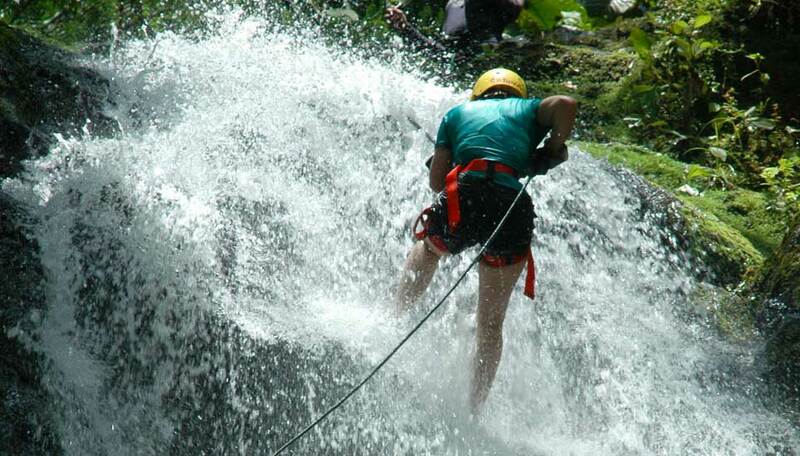 Ziplining and canyoning offers a greater degree of adventure. Other options include learning about rural life on a visit to the local village, and horse riding. All guests are invited to take part in the reforestation programme. All food and drink supplies, provided by local communities, are brought in to the lodge by walking trail or raft. All meals are included in your stay and you’ll be treated to fresh fruits, vegetables, salads and sandwiches as well as the lodge’s signature dinner jungle chicken during your stay. Meals are served in the open-sided dining area, so you’re never far from nature. Drinks can be purchased on site, and the 5pm cocktail hour is a good opportunity to socialise with other guests, with playing cards and board games supplied to help pass the time. Rooms vary in size with some sleeping up to three people. The style is simple, bedding is provided and you have a private bathroom with hot water for the shower. There are also some dorm rooms with bunkbeds and shared bathrooms. The lodge is definitely rustic. There are no TVs, phones, mobile coverage or Wi-Fi. This is life in the jungle! The lodge was founded on strong sustainable principles and its owners are keen to protect and conserve the natural environment. They are also committed to the local community, sourcing food from nearby farms and employing people who live in the area. They have funded education and healthcare programmes for the local community. 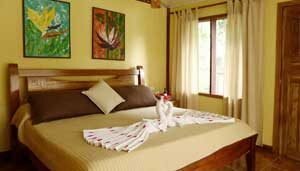 Why go to Rios Tropicales Lodge? 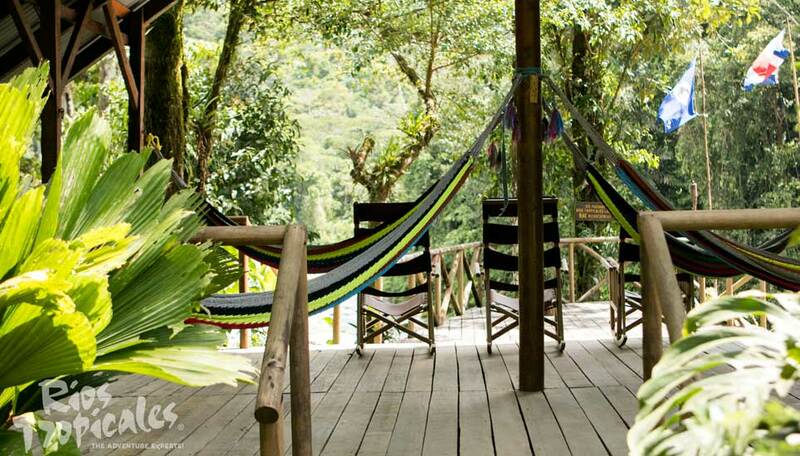 A stay at Rios Tropicales is all about reconnecting with nature, from watching birds, swimming beneath a waterfall to guided hikes and high octane white water rafting. 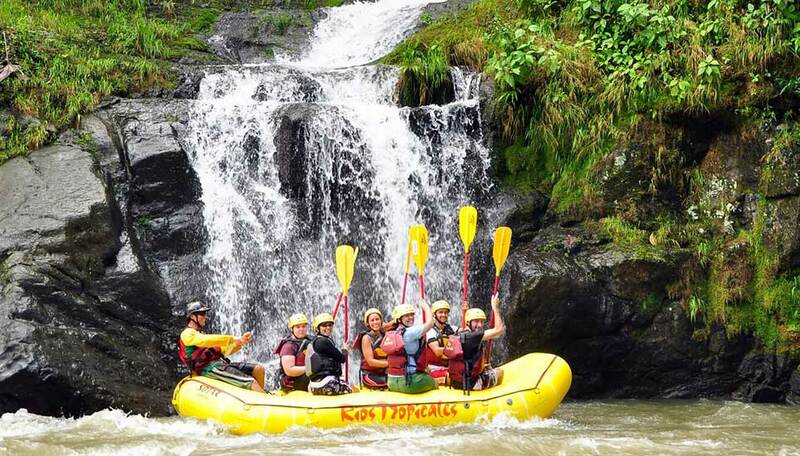 Choose your level of activity and relish time spent in immersed in the rainforest in the company of committed guides. Even at the lodge you are surrounded by nature. The open air dining area draws your gaze outdoors to the gardens, and hammocks are strung up on a terrace where you can rest and enjoy views of the Pacuare River. Don’t expect luxury and mod cons, instead think rustic and natural and you’ll not be disappointed. 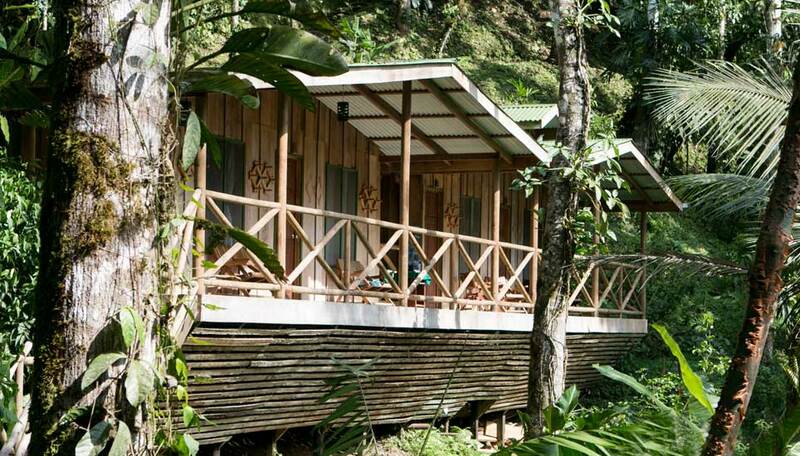 The lodge is in a reserve of over 800 hectares, the largest in private ownership on the Pacuare River. Howler monkeys, an array of birdlife including toucans and macaws, and frogs are the norm, and can be heard while you are relaxing at the lodge. Sloths, giant tapirs, peccaries and ocelots are found here, as are jaguars, though these are rarely seen. All meals ie breakfast, lunch and dinner, except for dinner on the day you leave, tea and coffee, and self-guided hikes. Children over 12 years are welcome n the dry season and over 14 in the rainy season, due to minimum ages for rafting. If walking to and from the lodge the minimum age is 8 years. There is no internet access and no mobile phone coverage, due to the lodge’s remote location. There are deluxe rooms of different sizes, with either one king bed, two queen beds or three single beds. These rooms are en-suite with hot water showers and an assortment of toiletries. In addition the lodge has budget rooms, each wit two bunk beds and a shared bathroom.